(RT) — Fish found in Washington’s Puget Sound are tripping on cocaine, Prozac, Advil, Benadryl, and Lipitor. Unfortunately, there is no aquatic drug dealer responsible for it. Instead, the intoxication is the result of tainted discharge water. 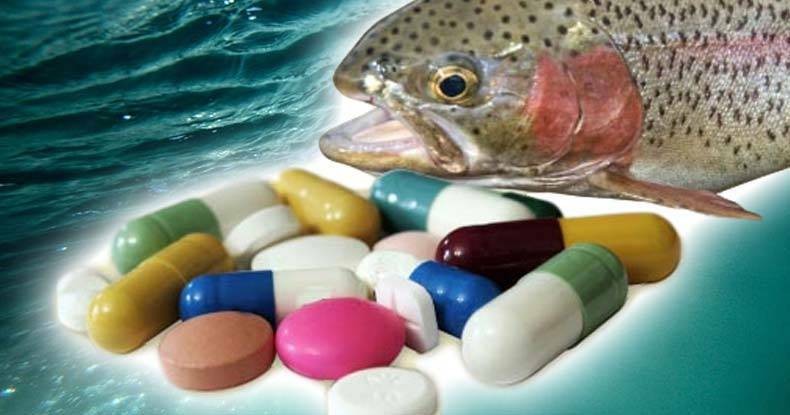 Pharmaceutical pollution could be to blame for the many drugs showing up in the tissues of juvenile Chinook salmon. Estuary waters near the sewage treatment plants were found to contain a cocktail of up to 81 different drugs, according to a new study out of the National Oceanie and Atmospheric Administration (NOAA). There are several plausible theories about the Puget Sound’s high concentration of drug-infused water. Jim Meador, an environmental toxicologist at the NOAA’s Northwest Fisheries Science Center in Seattle, published a study that offered two options. One possibility is that people in the areas around the Puget Sound use more of the detected drugs. However, it is also likely that the problem lies with the treatment of waste water. The connection between the chemicals found in the water and fish was determined after the same substances were found in both juvenile Chinook and staghorn sculpin. The two species have different life cycles, with the sculpin staying in the same body of water while the Chinook migrate from the Sound to the sea and back again. For both species to be exposed to the same chemicals suggests a shared habitat was affected. Salmon are an indicator species, meaning that they act as a warning system for environmental problems due to their sensitivity to changes in their living conditions. Drugs that humans take can get into the water in a few different ways. The most obvious way is that when a person discontinues using a drug, they may flush the leftover supply down the toilet, with the effluent not properly filtered by sewage treatment plants. On other occasions, when a human takes a pill, their body may not absorb all of the drug and will eliminate the remaining amount in urine which then (ideally) will be flushed down the toilet. Human drugs leeching into the rivers are causing problems for fish. In the heavily polluted portions of the Potomac River near Washington DC, intersex fish have been found. Scientists believe this is the result of estrogen from birth control and menopausal medication finding its way into the water. It gets worse for fish exposed to anti-anxiety drugs. In a study from the Scientific American, perch that were placed in clean water were less aggressive than fish that had been exposed to benzodiazepines – calming drugs, such as Valium or Xanax. In addition, the fish that were exposed to benzodiazepines explored more dangerous areas, ate faster, and put themselves in riskier situations. Although brave fish may not sound like a problem, the change in their behavior could spell bad news for their ecosystem. For example, while increased eating speed sounds harmless, if perch eat more zooplankton at a faster rate, then there is less zooplankton to eat algae. This, in turn, causes algae blooms. In addition, more fearless fish will expose themselves to more predators, which could then impact the perch population. The EPA is attacking this problem by adding various pharmaceuticals to a watch list of potentially harmful contaminants that warrant investigation. The World Health Organization is also calling on water treatment plants to seek methods to improve wastewater treatment so as to remove drugs and contaminants from their main source of entry: effluent water. For those anxious about the effects of their anxiety medication, scientists have some advice to reduce the pharmaceutical footprint at home, the most obvious of which is to not flush unused pills down the toilet or pour them down the drain. Instead, locate a community based drug take-back program. More and more local governments have been encouraging drug take-back days since a federal law went into effect in 2010. For more information, speak to a local pharmacist.